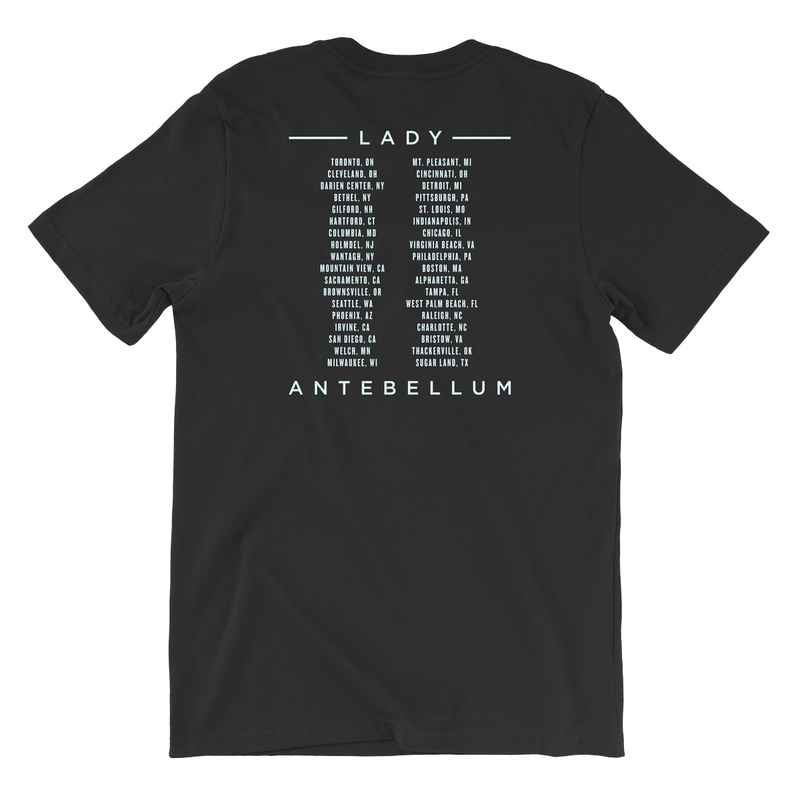 Black unisex t-shirt features image of band on front and 2018 tour dates on back. I bought this item for a christmas present, and the special someone loved it. So, thank you from the bottom of my heart. 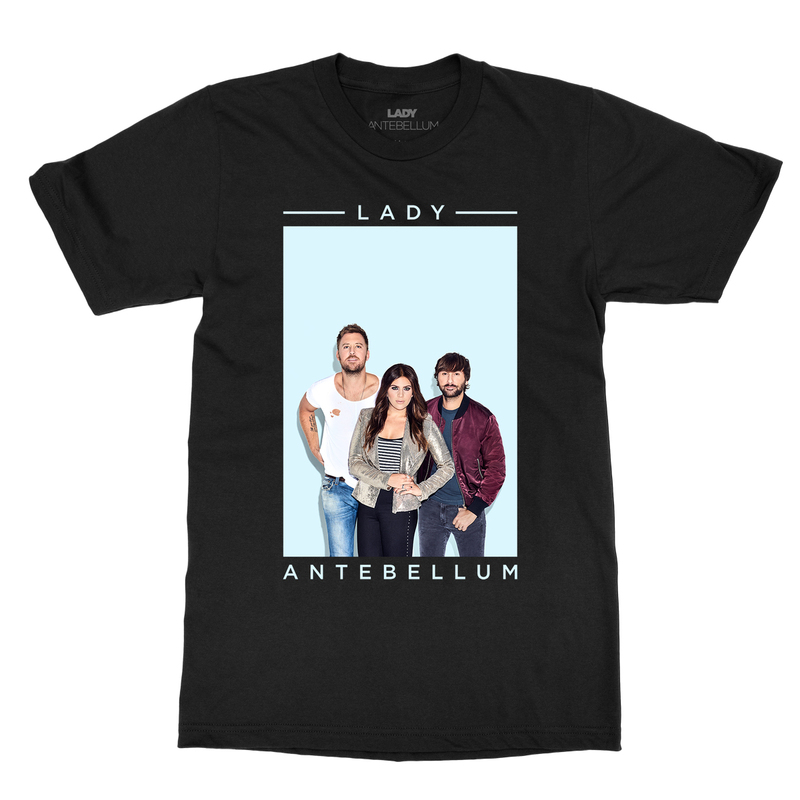 I bought this teeshirt to have a reminder of their wonderful concert in Sugar Land, TX and to add to my collection of Lady A tees. Nice shirt and a great night.